One day a few years ago, in a statement of independence, I took apart my broken iron, thinking I would somehow figure out the problem and have it back together in no time. Having no knowledge of irons or anything electric, I am not sure why I thought I could fix it, but I decided to try. Unfortunately, I had no clue what to do with it once I got it apart, consequently, when my husband got home from work, he discovered the iron on the kitchen counter, surrounded by all of its insides. After a few more failed attempts at repairing things, I realized that I definitely did not inherit the gene to fix and repair anything. Back in the 1940's when gas was well under 20 cents a gallon and it was possible to buy a car for under $1,000.00, my Grandpa Heber Monroe Ganus worked as an auto mechanic at the Chevrolet Garage in LaJara, Colorado. This photo taken on our visit several years ago shows it is not in great shape and is for sale. Mechanics in those days often relied on experience as their teacher, and for many, that experience came from working on farm equipment. Prior to being a mechanic, Grandpa worked on a farm in Colorado and then on various projects with Heiselt Construction. Perhaps those jobs helped prepare him for work as a mechanic. There were no diagnostic machines with codes to help mechanics determine the problem with a vehicle, so it was up to the mechanic to figure out on his own and then repair it. Mechanics had to be creative with the repairs, especially in remote areas because car parts were not readily available nor easy to find, so they made do with the tools they had and made parts from other cars. The 1940 census confirms that my Grandpa, Heber Monroe Ganus was working as a mechanic in 1940. 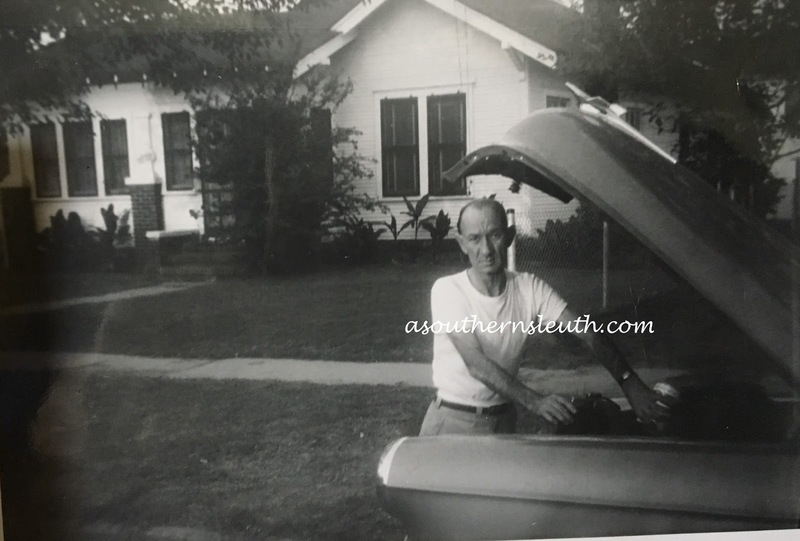 A few years later when Grandpa registered for WWII in 1942, he indicated that he was working at the Phillips Chevrolet Co.
Grandpa continued to work as a mechanic until health issues forced him to quit. "It was while Heber was working in La Jara, as a mechanic in one of the garages that he became ill and found he could not work at this kind of a job. His brother, Ernest had come from Oklahoma on a visit. He talked Heber into going back with him in hopes he would feel better. This was in 1954, in the spring. "In the following summer when school was out after graduating from Adams State, Lena, Sally and boys and myself drove to Oklahoma to Okmulgee where Heber was staying with his brother Ernest. We found him feeling better and he returned home with us, but he was put in the hospital the next day, in Alamosa. Doctor Stong who was his doctor told him never to come back to Colorado, as it was too high here for him." And so, Grandpa Ganus moved to Oklahoma to live with his brother Ernest. The following year Grandma taught school in Colorado and when school was over for the summer, she joined Grandpa in Oklahoma. The following school year, Grandma taught school in Oklahoma, but Grandpa never worked again. He may have tinkered with their car some, but his days as an auto mechanic were over. Just as vehicles have changed dramatically over the years, so have gas stations and the way vehicles are worked on and repaired. I may not have inherited the ability to repair much of anything, but I did inherit the love of family and a drive to know more. The memory exists in my mind much like a magical dream. We were visiting my grandparents in Sapulpa, Oklahoma and my parents had gone out for the evening. It was getting dark and my Grandpa Ganus and I went into the backyard of their small rented home to see the coi in the little fish pond. As a young child, I was fascinated by the orange fish and loved watching them dart in and out of the green plants and vines. Grandpa and I watched them for a bit, while it grew steadily darker outside. When it became too dark to see anymore, we started to go back in the house when I saw the small flicker and flash of tiny little lights that would glow momentarily and then disappear. My grandpa explained that they were fireflies or lightning bugs. Growing up in California, I had never seen fireflies before. Grandpa went into the house for a minute and when he came back out, he had a mason jar for me to catch a few of the magical little creatures in so I could see them up close. For the next little bit of time, Grandpa and I caught fireflies. Whether real or imagined, in my mind's eye I can see us laughing while chasing and catching the fairy-like bugs. But that is all that I remember of that night. I don't remember what we did after that or anything else that we did on that visit to my Grandparents. Grandpa died a few years later and living several states apart, I really never got to spend much time with him or to get to know him very well. I do know that we had time together a few other times though because there are a few photos that catch those times. A couple of years ago my husband was in a store and found a little mason jar that had little glowing fireflies in it and so he bought it for me. The fireflies are powered by a battery in the lid and they glow off and on much like the real thing. I love to have it sitting on my desk as a reminder of a very special memory that happened so many years ago. Do you have things that trigger memories of grandparents? Long before we could drive down the street at night and see the glow of the TV screen in the windows of many if not most homes, and long before people turned to Facebook for updates on people's lives, people dropped by to visit each other. In pleasant weather, people sat on the porch and talked, catching up on the events of the day. Often sipping on a cold drink, they tried to cool off while they talked about the weather, about family and about the ongoings in town. My how times have changed. 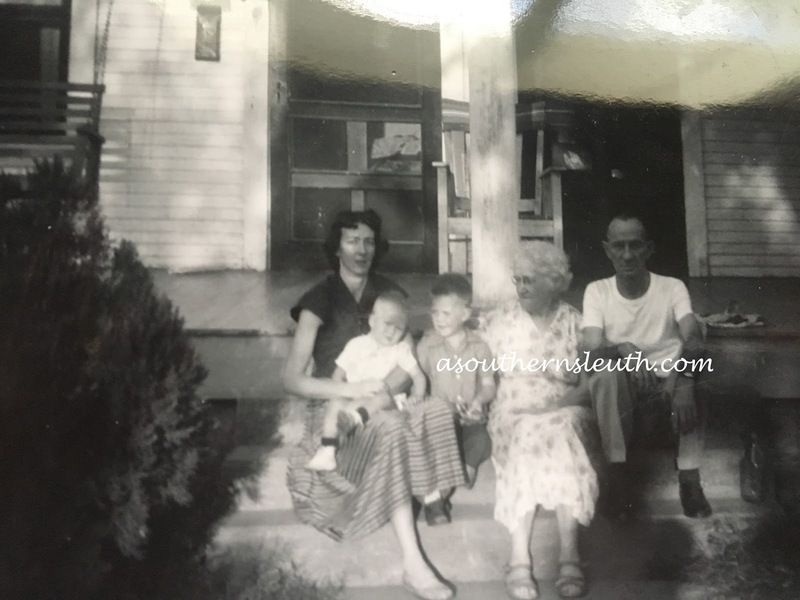 These photos taken in September of 1955 show my grandparents, Heber and Hazel (Mickelsen) Ganus and Sally (Ganus) Mortensen, along with a couple of Sally's children, sitting on the porch with Heber's aunt, Stella May (Montgomery) Ganus in Oklahoma. Most likely Grandpa and Grandma had moved to Oklahoma by that time and Sally and her kids had made the 700 miles trip to visit them. Other than the few years when Grandpa worked in Utah and California, Grandma and Grandpa Ganus lived most of their lives in Colorado, but as grandpa aged, his health declined and they eventually moved to Oklahoma for the lower altitude. 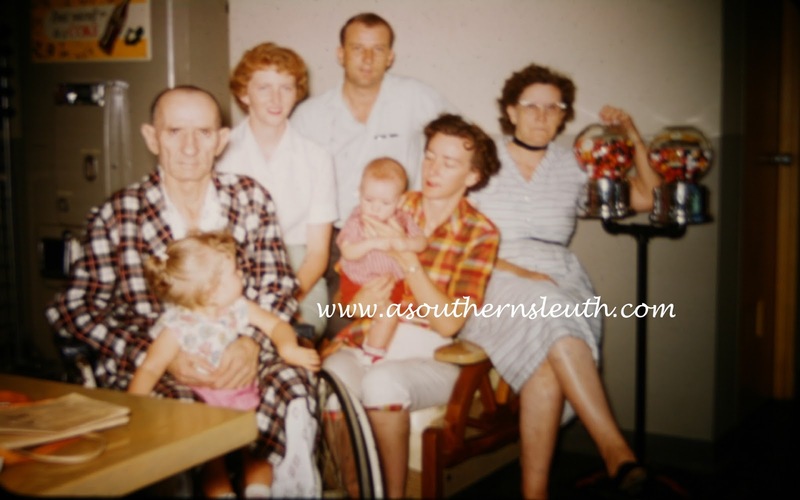 During those years Grandpa was able to live among other Ganus relatives. In particular, Grandpa loved his Aunt Stella and I love knowing that she was important to him and that he was able to spend time with her. That September of 1955, temperatures soared around 100 degrees and the humidity hovered around 70% (1) In the sticky Oklahoma heat, the porch was the best place to sit and visit. Lightweight, short sleeve dresses were the order of the day for the ladies and a short sleeved t-shirt helped keep Grandpa Ganus cool. With the heat extending into the evening hours, families often moved out onto the porch where it was a little cooler. For them, there was nothing much better than spending a little time on the porch, sitting and talking. The knock at the door came early, but at the agreed upon time. I opened the door to see half a dozen men standing on my front porch. Bundled up in coats, the men stood with arms crossed, their gloved hands rubbing their arms in an effort to generate some warmth as the light snow swirled around them. Their boss just had one question for me, "Are you ready for us to start?" Yes, I definitely was. We were doing a major remodel of our home which required opening up one of the exterior walls and extending our living space. Not only was it cold, but for weeks, the hammering, pounding and sawing continued and my nerves became a little more frayed each day. I tried to remain focused on what I knew would be the end result, but some days it was really hard. Finally, the job was completed and I was pleased with the results and so glad to have an end to the temporary chaos. Thankfully, we only had a few months of living in an unfinished space, but what if it had stretched into 113 years? Well, that was the case with the house that Gandy built. Situated on 177 acres on the Navidad River at Gandy's Bend, the house was tucked into a deeply wooded area. Removed from the hustle and bustle of town life, there was a peace about the place. Built by Addison's wife's grandfather, Daniel Gandy, several generations of Gandys had lived and died there. A family cemetery was nestled in a grove of large cedars about three-fourths of a mile from the house and was the final resting place for many members of the Gandy family, including Addison's wife Letha Grandy Lincecum. When interviewed for a newspaper article in October of 1963, Addison indicated that he was just waiting for the time that he too would be buried there. 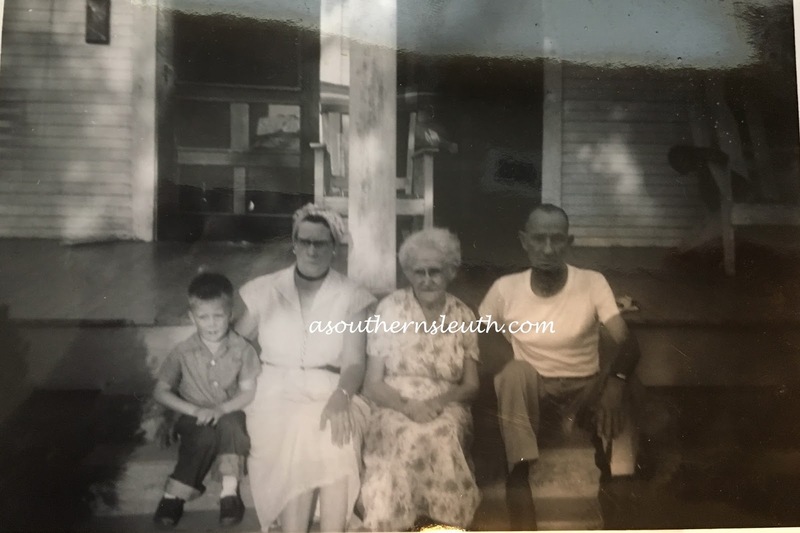 Letha's grandmother, Mary (Turney) Gandy, died while her grandfather, Daniel Gandy was building the house and her death was so difficult for him, he never completed the house. Built with wooden pegs and square nails, the house had impressive custom features such as a hand-carved mantel. After Barney married Mary Macek Mader on 3 April 1962, they moved into the house and decided it was time to finish it. They put up sheetrock covering the raw studs, installed ceilings so they no longer had a view of the underside of the roof and finished the second floor which had previously looked like an unfinished attic. 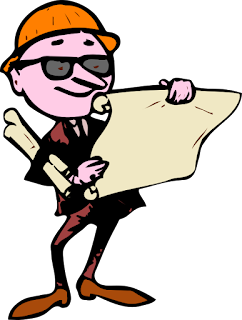 Barney added bathroom fixtures which they had managed without all those years. In addition, Barney built on a screened porch, covered the shingles with a tin roof and added a patterned asbestos to the outside of the house, which was a trend at the time. Then because none of the house had ever been painted, inside or out, he painted everything either pink or blue. After a mere 113 years, the house finally was finished. Every time we take on a remodeling project, knowing my impatience with the mess, my husband looks me in the eye and kindly reminds me that it will be a process and that for a time, it will mean living in a mess. Every time, I acknowledge him with a nod of the head and a vow to be patient this time, but we both know I don't do the patience-with-remodeling thing well. Thankfully, it's never takes 113 years, it just feels like it. The information about the home was obtained from a newspaper article accessed at Portal of Texas History. 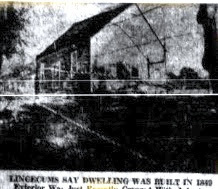 Yoakum Herald-Times Herald, Yoakum, Texas, Friday October 11th, 1963, "Landmarks, The House at Gandy Bend," by Charlotte Phelan of the Houston Post. In July of this year I will celebrate a birthday that I consider to be among the biggies and, as I have looked toward that day, I have thought a lot about my life and the things that have happened. I think we all tend to do that when we hit certain landmarks in our life. Often those times are birthdays or anniversaries, but for some like Addison Lysander Lincecum, who influenced and helped so many, it seems only fitting to hold a special party devoted just to him. At eighty-sixed years old, Addison was the center of the party. They came to honor him, to celebrate his life, and to pay tribute to a man who had given so much to their community and to his country. They fittingly called it "Dr. Lincecum Day." He had lived a life full of adventure, never taking a back seat and always eager to fight for the things he believed in. The "Dr. Lincecum Day" celebration was a special night for Addison to reflect on his life and to spend time with those he loved. Unfortunately, although there were many good friends there that night, there was one very significant person missing. His wife Letha of 61 years had passed away just a little over a year earlier. What things in his life had meant the most to him? What had been the most fun and the most challenging and what, if anything, would he change? Addison Lysander Lincecum was born 8th of April 1874 in Long Point, Texas to Luculus Garland Lincecum and Frances Louisa Rainwater. He likely was named after his maternal grandfather, Addison Franklin Rainwater. His maternal grandfather, Gideon Lincecum, a well-respected doctor who died the year that he was born so he never had the privilege of knowing that grandfather who was a legend in himself. By the mid-1870's Luculus and Fanny Lincecum moved their family to Lampasas, Texas. There, Addison was reared in a home where education was deeply valued and with a father known for his compassion. Raising a family in the early days of Lampasas could not have been easy nor worry-free. At that time, Lampasas, was plagued by lawlessness, saloon fights and feuds, such as the feud in 1877 between the Harrell and Higgins brothers (see Horrell-Higgins Feud for more information). Lampasas was the only place in the west where a gunfight in a saloon resulted in the death of four policemen. While there were many good things in Addison's life, he also experienced heartache at a young age. There are few events more traumatic for a young child than losing a parent, but witnessing their death is unimaginable. One warm evening in June of 1878, while sitting at the supper table, Addison's 35-year-old mother, Fanny suffered a heart attack and died. In minutes, the four-year old's whole world was upside down. His father, Luculus was faced with the heartbreak of burying yet a second wife. Luculus, a grieving widower, no doubt struggled to care for Addison and his little brother Pachal while keeping up with his busy medical practice. Six months after his mother's death, Luculus married Emma Oliphant and Addison gained a step-mother and eventually, several more siblings joined their family. As a young man, Addison won the attention of the much sought after Letha Gandy, a school teacher and writer. In December of 1897, they married. "LINCECUM-GANDY-Lampasas has captured another prize. Dr. Ad. L. Lincecum and Miss Letha Gandy of Hallettsville, Lavaca County were happily married and arrived in this city last Saturday. And thus it is that Lampasas has added another bright star in her constellation of fair daughters. The bride is of one of the oldest and most highly respected families, and a young lady of culture and refinement. The groom is the son of Dr. L. G. Lincecum and is well known to everybody, having lived in Lampasas since his early childhood. He is a promising young physician and all Lampasas has a warm welcome for the young couple--the groom to his old and the bride to her new home. For the present, they are domiciled at the groom's father's residence on West Third Street." August of 1900 held a full range of emotions for Addison as he said goodbye to his father who passed away on August 17th and then welcomed his and Letha's first child, Barnabas Gandy Lincecum into the world on August 29th. They would eventually bring three more children into their home. In the footsteps of both his father and his grandfather, Addison studied to become a physician and entered Baylor College of Medicine. His education was temporarily interrupted however when he joined the Rough Riders in the Spanish-American War. In 1917, angry over the death of a doctor and friend of his, he requested a commission with the Texas Rangers in the hunt for the Mexican Revolutionary General, Pancho Villa. After the fighting was over, he returned to his studies at Baylor. To pay his way through medical school, he worked as an engineer on trains which moved granite blocks to the Galveston jetties. He lived to be the last survivor of the first graduating Baylor graduating class. Addison accomplished many things over the course of his life, including a service overseas as an army surgeon in France during WWI, he served as president of the city and county medical society and was a member of a Lodge and was a Mason. He served on the Texas State Board of Health investigating the bubonic plague. He was an administrator of the Nightingale Hospital at El Campo and had even served as a postmaster and mayor in El Campo. As busy as he was, Addison found spent time to pursue his interests and became a champion fiddle player. Not to be dissuaded by his age, at 80 Addison became a reporter and commentator for the El Campo radio station, KULP. And so it was no surprise that in March of 1964, Addison's friends gathered and paid tribute to him not only for all that he had accomplished during his life, but also for who he was and the difference he had made in their lives. Known for being happy, he made others feel welcomed and comfortable. He had done much to make other's lives more comfortable and to improve their community all while being a good neighbor and friend. Suffering from the effects of a stroke, Addison would spend the last few years of his life in a wheelchair while living with his son and his wife at Gandy's Bend. There as he put it, he waited for the time when he would be buried beside his wife in the family cemetery a short distance from the house. That time came on December 6th, 1965. Note: Addison's mother, Frances, or Fanny as she was called, was my second cousin, three times removed. She descended through my third great grandfather Joshua Rainwater's brother, John Rainwater. Details of Addison L. Lincecum's life were derived from a variety of newspaper articles accessed on The Portal to Texas History. El Campo Pays Tribute to Dr. A. L. Lincecum: The Edna Herald (Edna Texas) Vol 54, No 21 Thursday, March 24, 1960. 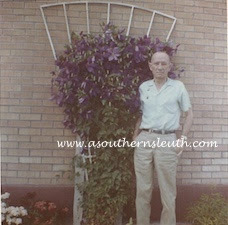 Dr. Addison L. Lincecum Pioneer Texas, is Dead: Yoakum Herald Times (Yoakum, Tex) Vol 67, No 81 Ed 1 Friday, October 11, 1963. Would you like some pictures? I was recently contacted by a cousin who said he had found some Ganus pictures among his mother's things, and asked if I would like them? Would I??? Of course I immediately responded that I would love them. But then came the hard part-- waiting for them was like waiting for Christmas! When the packet came, I couldn't get in the house and get the manilla envelope opened fast enough. You know the feeling...wondering who will be in the pictures and what you might learn. Naturally, I was thrilled with the pictures for they helped complete some of the stories I have written, on my blog, in my mind and in my heart. 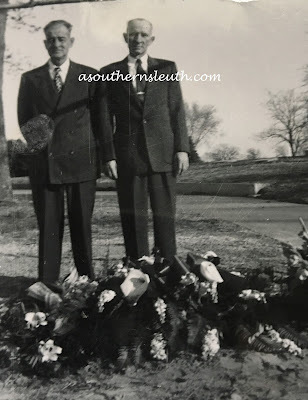 The photo, taken in March of 1956 shows my grandfather, Heber Monroe Ganus, standing beside his twin brother, Orson Merritt Ganus as they said their goodbyes to their older brother, Ernest W. Ganus. The photo helps tell the story about three brothers......three brothers born to William Franklin Ganus and Sarah E. Faucett, three brothers who watched both parents die and were orphaned at a young age, three brothers who were sent from their home in Oklahoma to Colorado, split up and raised by different extended family members. They were three brothers who did their best to get through life, despite many challenges and many struggles. The picture breaks my heart, but I'm so grateful to my cousin who so kindly shared it with me. In these posts, I tell about the twins. This Telephone Business Has Got to be Stopped! Perched on the end of my Grandma's cushioned rocker, my cousin and I glanced nervously at each other as she slowly and quietly lifted the receiver. Then squeezing closer together, we leaned into the phone so that we could both hear the conversation. Grandma had gone out to her garden and we knew we only had a few minutes before she would be back. We also knew the call wasn't for Grandma because each person on the party line had their own distinctive number of rings. But curious as to what gossip might possibly be shared that day and feeling a little bored, we decided to listen in, making sure not to make any sound that would give us away. 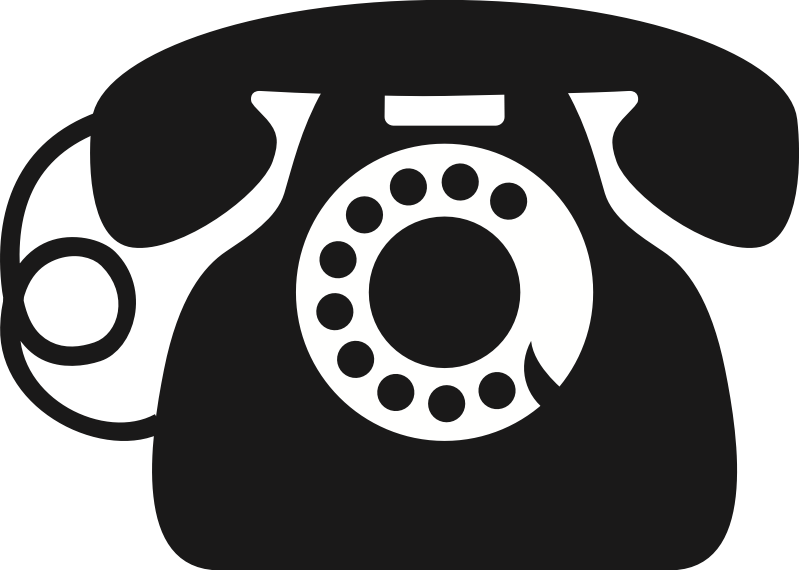 Over the years, telephones have gone from party lines with multiple households sharing the same line to cell phones, where every family member with a cell phone has his own line. Phones have been used to unify friends and family, as a source of information and mischief and unfortunately, they have also been the source of trouble. "In the case of John Morgan, who was convicted of the conspiracy and who is now serving a 20-year sentence in the Atlanta Federal Penitentiary, he was accused of telephoning old Man Gurganus of the approach of the officers. "He had nothing to do with the actual firing of the fatal shot, but the private system of telephones throughout the country was the greatest menace which the revenue officers had to contend with. "In searching for the murderers we discovered at least 30 telephones. "This telephone business has got to be stopped and the sentence of Morgan should be a good warning to all others." The very phones that were supposed to help keep Marion and his boys from getting into trouble with the law ended up being the thing that set everything into motion, ultimately resulting in a charge of conspiracy for John Morgan and ensuring that Marion and Johnny Gurganus were fired up and waiting for the revenuer when he showed up. Truly it would have been best for them all if their telephone business had been stopped. It's no small secret that this final post in the series about John Monroe Ganus' life is long past due. I could blame the delay on my recent move, on some challenging family circumstances or countless other things, and although those things have undoubtedly played a part, the truth of the matter is, I've struggled to know how to bring it all to a close. If you missed the beginning of John's story, you will want to go back and read it beginning with this post. Up to this point, land records, newspapers, US. 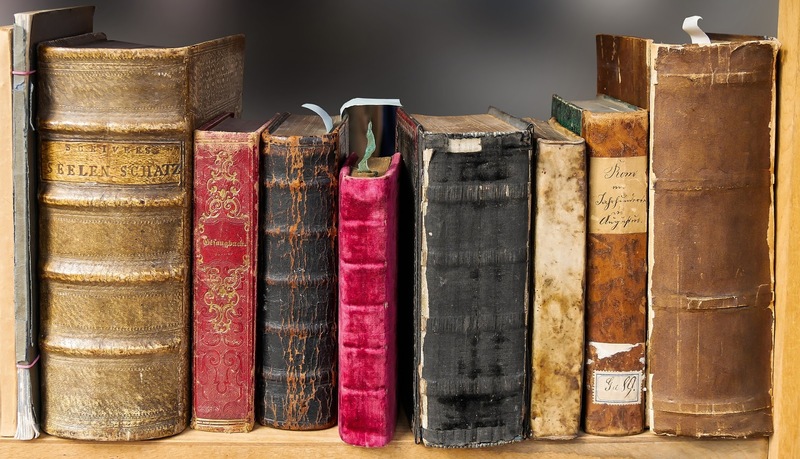 Population Censuses, Agricultural Censuses, journals of LDS missionaries and LDS church membership records have provided me with details and insight into John's life. I had hoped to end his life story with the same level of detail. But sadly, after John's move to Colorado, the sources began to dwindle. 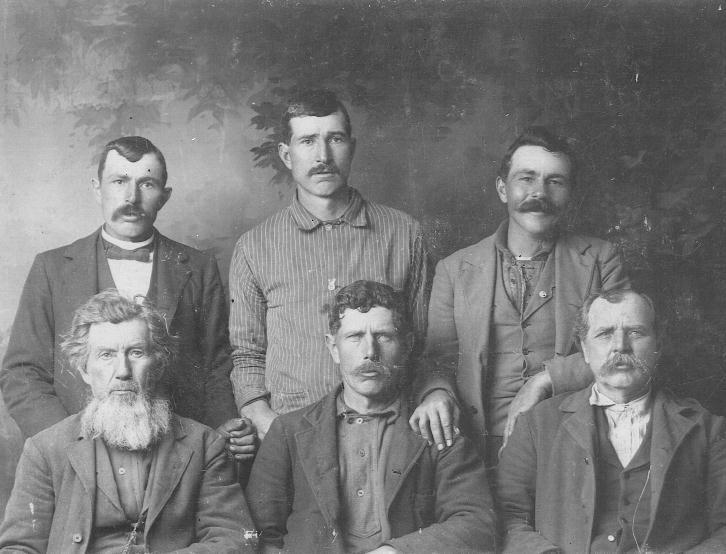 What I do know is that the Ganus family remained in Colorado until about 1894, and then they once again packed up and moved. 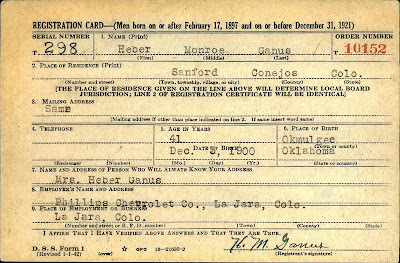 A move was never a cheap or easy endeavor and yet, despite the difficulties and just short of being 70 years old, John, along with his family made the roughly 690 mile trip from Manassa, Colorado to Indian Territory, now known as Oklahoma. Indian Territory in the mid to late 1890's posed many challenges. Lack of good medical care, the difficulty in growing gardens and crops, in addition to the challenge of finding adequate housing meant many families lived in shacks and sod houses while having to go without. Most frontier towns had more saloons than churches and outlaws roamed the countryside. Availability of land enticed many folks to move to Indian Territory and yet I find no evidence that any member of the Ganus family acquired land there in the early days. 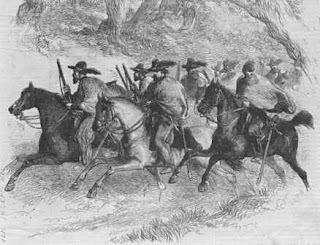 They arrived well after the initial Land Run of 1889 and no record has been found to show that they obtained land in any of the later runs. John's moves: Red, Georgia to Alabama in early 1860s, Orange, Georgia to Arkansas late 1860s. Not only is it difficult to understand why they moved to Indian Territory, it is equally difficult to fathom why they were willing to leave Colorado. Leaving Colorado meant leaving behind their homes as well as an established community of other southerners and other members of their church. Some of their neighbors in Manassa had traveled with them when they left Georgia in 1886. The Ganus family also left behind the graves of their tender young grandchildren who had died much too young. Given the challenges of moving yet once again, I can only assume their decision to leave was mulled over for some time and discussed at length among their sons and their families. This would be John and Olivia's final move. Roughly six years later on the windswept plains of Oklahoma, Olivia passed away on 12 September 1902 at 71 years. John would live another four years, dying on 9 April 1906 at the age of 79. After a lifetime of looking to their father for direction and guidance, the five brothers would be left to stand on their own. 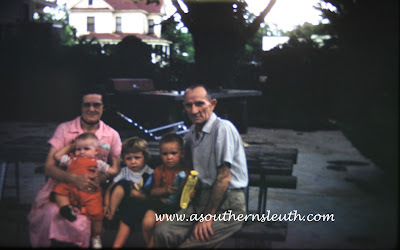 The oldest son, Frank was only 54 years old when he passed away a few months after his father, John. Frank's wife, Sarah was only 45 years old when she followed three years later and so Frank and Sarah's sons were sent to back to Colorado to be raised by Sarah's brothers. The other four Ganus brothers, John, Roderick, Newton and Robert, remained in Oklahoma, and all but Newton, who never married, raised their families there. I often study this picture of John and his sons and wonder what they would tell me if they could. Taken in Indian Territory, my guess is that the photo was taken sometime between Olivia's death in 1902 and John's death in 1906. Although I understand that photography was different in those days, I can't help but think they look a little tired, perhaps a little worn by years of difficult and trying experiences. Newton in the top right of the photo is the one exception. Although he wears a smile, I suspect the smile had more to do with the head injury he sustained as a child and less about his view on life. Although I have learned a great deal about John over the years, there remain many questions. Why didn't John enlist in the Civil War along with his brothers and brothers-in-law? Why did he move to Arkansas for a few short years following the Civil War? Why did John listen to the LDS missionaries when so many would not? Why did he openly allow the Mormon missionaries to have cottage meetings in his home in Georgia and share what little he had with them when he obviously had so little and the risks were so great? As I look at John's life, I see a man who sacrificed much and took many risks for what he believed. I see a man who established such strong family ties with his sons that the extended family remained together through the hardest of times and through many moves. I see a man who made difficult choices and wasn't afraid of change. 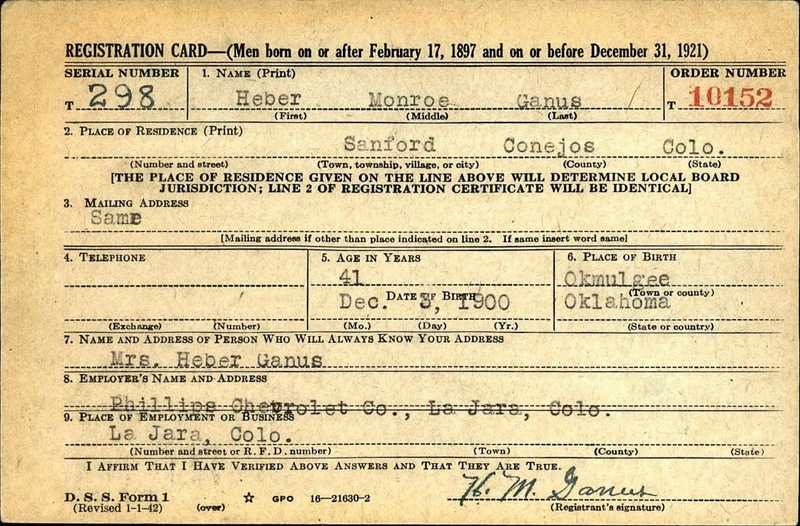 I've been blessed by his choices and am grateful for his sacrifices and through many years of research, I am grateful to feel I've come a little closer to becoming acquainted with my second great-grandfather, John Monroe Ganus. I have been actively researching for over 25 years primarily in the areas of North Carolina, South Carolina, Georgia, Alabama, Oklahoma, Texas and even the southern portion of Colorado. When my nose isn’t in a quarterly or other genealogy book or publication, I am researching or attending a genealogy conference, institute, online class or webinar. I obtained a bachelor’s degree from BYU and I earned a certificate in genealogical research from the National Institute for Genealogical Studies. 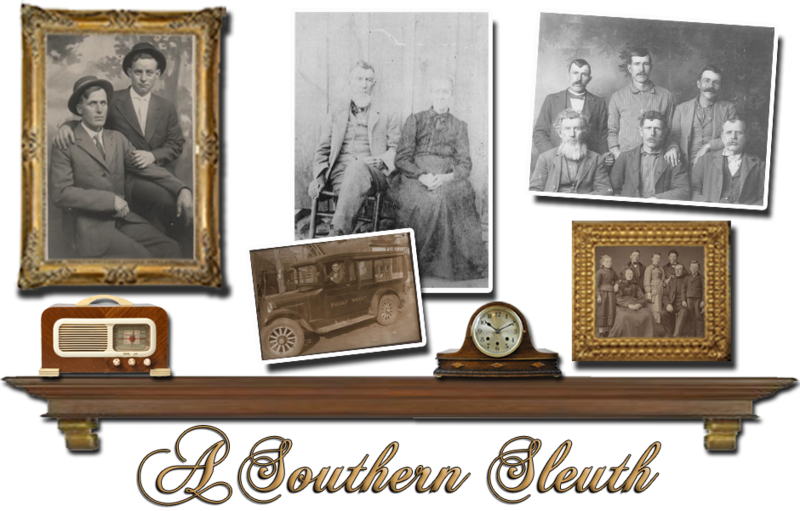 I'm a member of numerous genealogical societies including the National Genealogical Society, Georgia Genealogical Society, North Carolina Genealogical Society and Carroll County Georgia Genealogical Society. Questions or comments? You can contact me at shelltag1 at gmail dot com. Send questions or comments by clicking here. Copyright © Michelle G. Taggart. Picture Window theme. Powered by Blogger.